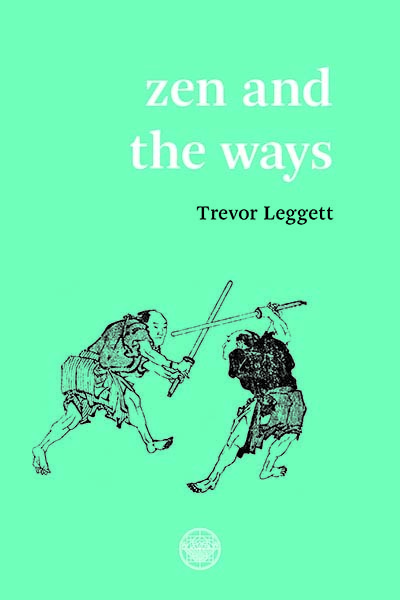 This book includes translations of some rare texts on Zen and the Ways. One is a sixteenth- century Zen text compiled from Kamakura temple records of the previous three centuries, giving accounts of the very first Zen interviews in Japan. It gives the actual koan “test questions” which disciples had to answer. In the koan called “Sermon,” for instance, among the tests are: How would you give a sermon to a one-month-old child? To someone screaming with pain in hell? To a foreign pirate who cannot speak your language? To Maitreya in the Tushita heaven? Extracts are translated from the “secret scrolls” of fencing, archery, judo, and so on. These scrolls were given in feudal days to pupils when they graduated from the academy, and some of them contain profound psychological and spiritual hints, but in deliberately cryptic form. They cannot be understood without long experience as a student of a Way, and the author draws on over forty years’ experience as a student and later as a teacher of the Way called judo. The text is accompanied by exquisite line drawings and plates. Part One: Zen – Koan Zen, Mushin, The Wave, Dragon-head snake-tail. On Meditation, Sayings of Daikaku, Bukko, Outline of Bukko’s teachings. Part Five: Texts of the Ways. Historical Appendices and index of names and technical terms.